Did you leave your Valentine’s shopping until the last minute? Do you need some inspiration for gifts for that special someone? Valentine’s Day can be a lot of pressure, but we’ve got you covered. We’ve compiled a list of the best sites for Valentine’s Day shopping, to help you find an amazing deal, or something last-minute. Check our out list of the best 13 sites for Valentine’s Day shopping below. 1. Ebay – for anything you need. eBay is one of the most popular online shopping websites not just because the prices can be so low, but because eBay allows users to place bids on many items and watch the price to get a great deal! 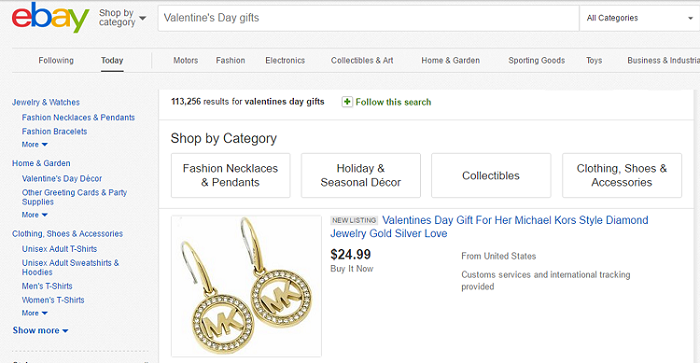 You can often save a lot of money by bidding on eBay, so you can get a great gift for your Valentine, and save money while doing so. Visit eBay today to start browsing and bidding on thousands of great items. If you want to learn more about using eBay, be sure to check out the free Techboomers course on how to use eBay here. 2. 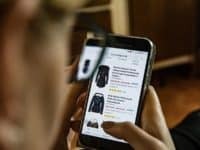 Amazon – for everything from A to Z.
Amazon has become an Internet giant for a reason: it was one of the pioneers of the online store model where you cut out the middleman and allow people to set up online seller profiles to sell items themselves. With this model, you can get prices way below retail, and find exactly what you’re looking for. Amazon has almost anything you can think of, so you’re sure to find a great gift for your Valentine. To learn more about Amazon, check out the Amazon Techboomers course here. 3. AliExpress – when you’re on a budget. AliExpress is one of the most popular online websites that allow you to buy items directly from Chinese manufacturers, saving you tons of money on the costs of items, which are typically marked up substantially in retail stores or on other ecommerce websites. With AliExpress, the prices are so low, you won’t believe how much of a deal you’re getting – but it’s true! 4. Bonanza – for anything but the ordinary. Bonanza is a website modelled after sites like eBay and Amazon where sellers can register to sell on the website, and Bonanza makes a portion of their sales. Bonanza sellers prefer Bonanza over other websites like this, as do many buyers. If you’re looking for all the convenience of eBay or Amazon but you want to try something different that makes a few improvements on the standard ecommerce model, try out Bonanza. 5. Alibaba – for cutting out the middleman. Alibaba is a great resource for buying items wholesale from China. Without the middleman retailer, you can buy items directly from Chinese manufacturers at some of the lowest prices around. You genuinely won’t believe how cheap some products are, so visit Alibaba today to start shopping! But don’t wait, because the shipments come from China, it takes far longer than typical ecommerce websites. 6. 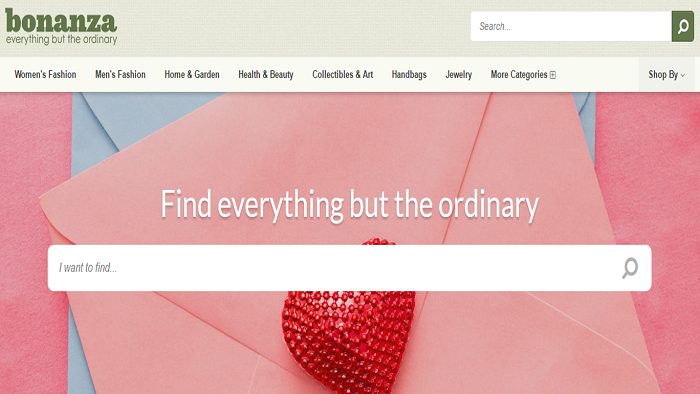 Overstock – for the experienced online shopper. Overstock began as a website that sold the unsold products from failed ecommerce websites. Since then, it has grown into a selling website in its own right, with thousands of products to choose from. Overstock is better utilized by someone familiar with online shopping websites. 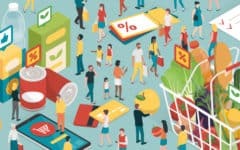 Its interface is not always as intuitive as other shopping websites, nor are the best deals always as prominent; but you can find them if you know how to navigate! 7. 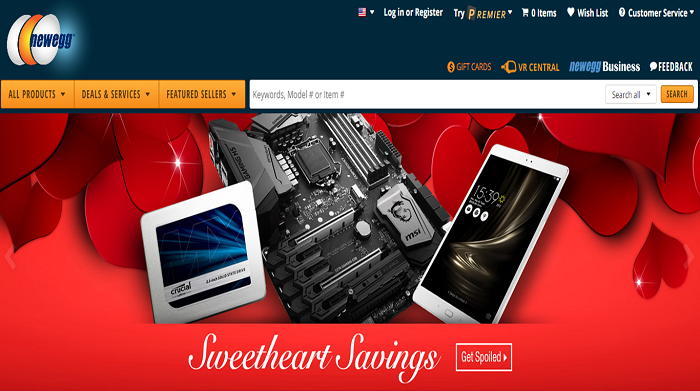 NewEgg – for when your special someone is a tech geek. NewEgg is a great resource for buying cheap products online – but it specializes in electronics and gadgets. 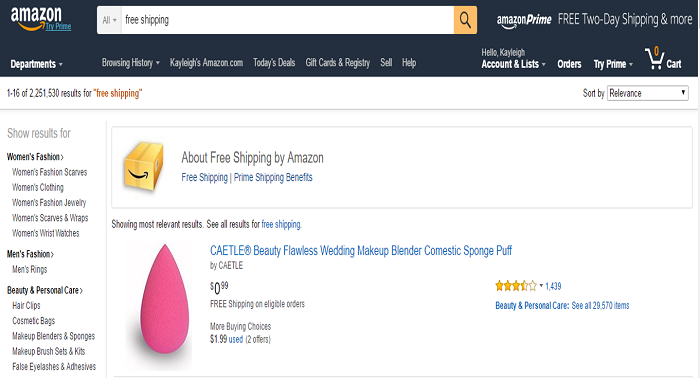 NewEgg makes it really easy to filter your search, and sort based on minute specifications of each item, so you can find exactly what you’re looking for. You can find some of the best deals here if you’re looking for a gift for your tech-savvy Valentine. 8. Zazzle – when you want to make the gifts more personal. 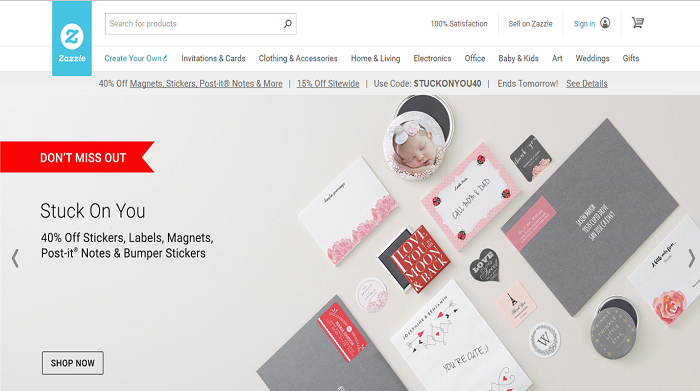 Zazzle is a great resource for finding gifts online, and it’s special because you can make each gift more personal for your Valentine. Zazzle lets you customize the gifts you want to buy, and they will make adjustments to the base product before shipping it out to you. Want to add your special someone’s name to a coffee mug or a t-shirt? Then Zazzle is the website for you. Zazzle is also great because, despite the fact that they have to customize each item, they generally ship items out of their warehouse within 1-2 days, meaning you can often receive your items 2 days after ordering, and almost always receive them in under one week! If you waited until the last minute, Zazzle could be the site for you. Etsy is a website where artisans and home-manufacturers can showcase their items and sell them to a wider audience. You can think of it like the traditional craft fair, but now online! 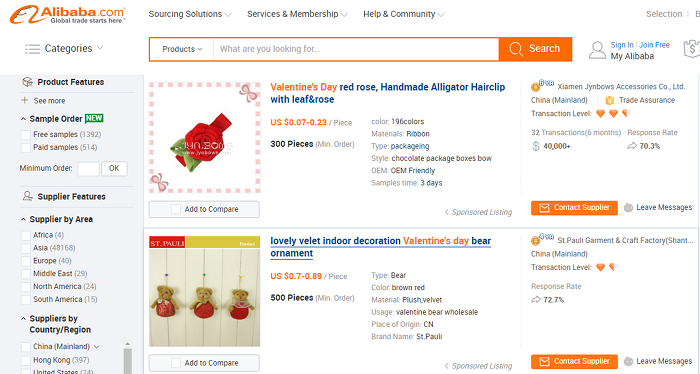 It’s great for Valentine’s Day gifts because it adds a bit more of a personal touch to the gift you’re buying for your special someone, and the items can also be much cheaper than on other big online marketplaces. 10. 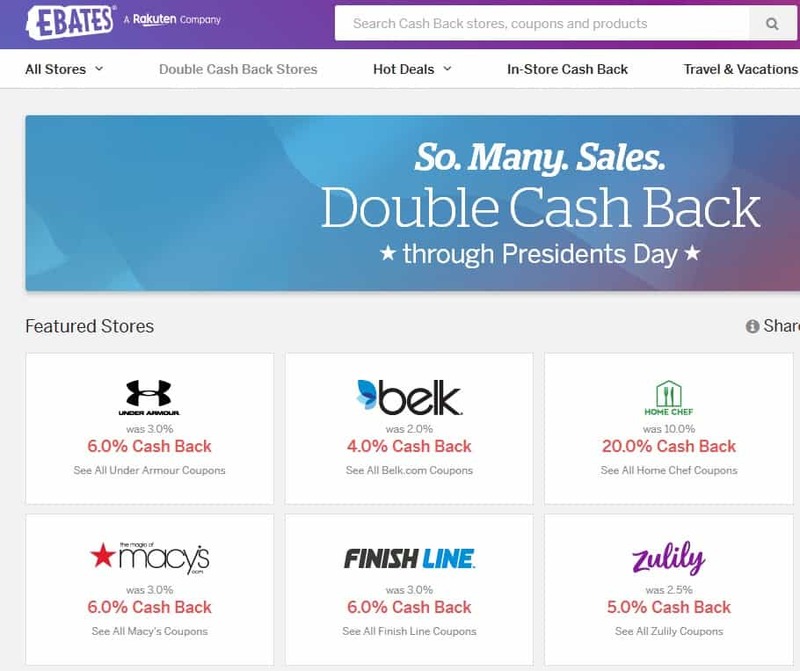 Ebates – for getting cash back on your purchases. Ebates gives you the benefits of coupons and discounts without the fuss of clipping papers or remembering codes. Just sign up and/or log in, click through an affiliate link on Ebates to your store of choice, and then buy something like you normally would. Ebates will automatically track the amount of cash back you earn, and when you’ve saved up enough, they’ll send you a check in the mail. 11. Groupon – for saving money on fun activities. 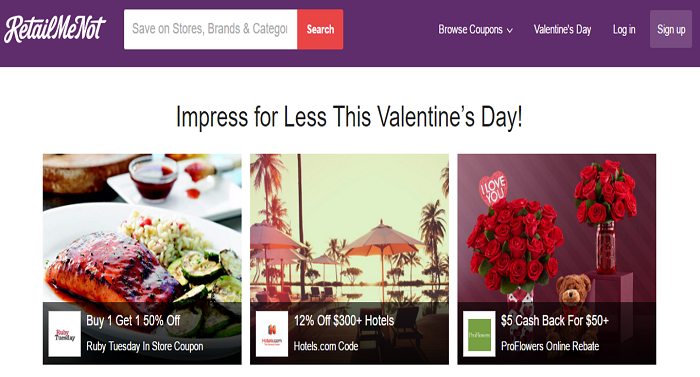 Groupon is a great website to check out for Valentine’s Day deals, as it has coupons not just for online stores, but for great activities you can go and do with your special someone out in the real world. But if you’re still set on online shopping, you can still find some great deals here, and find something great to give to or do with your Valentine. 12. RetailMeNot – for the best in online coupons. RetailMeNot is one of the most popular websites for compiling coupons that can be used on other ecommerce websites at the checkout. Users can subscribe to email alerts of deals on items they are interested in, so they never miss a deal. You can also see how many times others have used the coupons; that way, you know that a coupon works before trying to use it on another website. 13. DealNews – to learn about the best sales. DealNews is a great way to find amazing sales and deals on all the websites you know and love to shop with. The way it works is DealNews finds all the latest and hottest deals on other ecommerce websites, and then advertises them to you, and links you directly to the products you’re looking for on other sites. By referring you to these deals, DealNews makes a portion of the sale on the website you buy from; in turn, the company sells more products than they would have, and you save money with an amazing deal. Everybody wins! And that’s our list of the best websites to get deals on Valentine’s gifts. We hope it helps you find the gift for that special someone, in time for the big night. 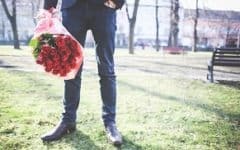 If you’re still feeling overwhelmed and under pressure, check out our list below of some tips for getting your Valentine’s Day shopping done on time – without breaking the bank. 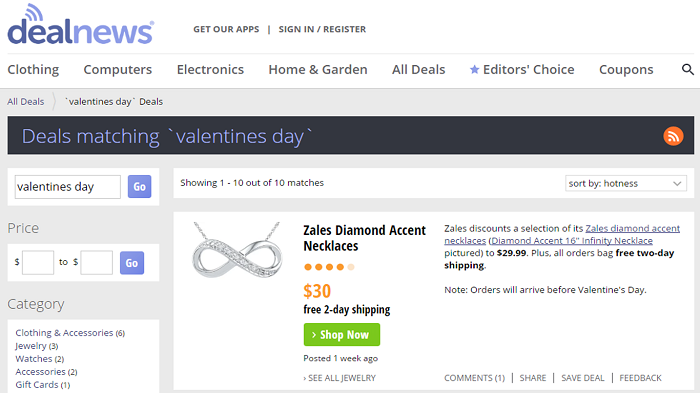 5 Valentine’s Day tips for shopping online: how to save time and money! 1. To save money: look for websites with free shipping. 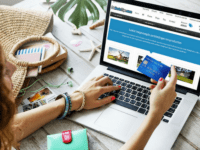 Has this situation ever happened to you: you’re shopping online and you find an amazing deal that’s just too good to be true – yet somehow it is. Then you get to the checkout and – oh no – the shipping costs more than the item you’re buying! To avoid this situation, try shopping on sites that offer free shipping. 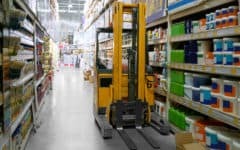 FreeShipping.org is a great resource for finding coupon codes for free shipping on dozens of websites you like to shop with. You should also check out Amazon, as many of their items are eligible for free shipping. You can even search “free shipping” in the Amazon search bar to find items that meet this criteria! If you don’t mind paying for the shipping costs, but you’re short on time, make sure you shop with a website that offers expedited shipping options. 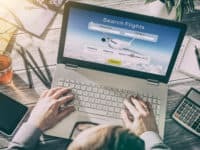 eBay, Amazon, Alibaba, and AliExpress all offer these options, but you should keep in mind that you’ll have to pay more. 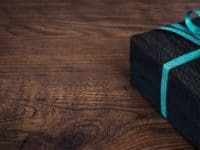 In some cases, you can get your items the next day, but you should still give yourself a 3-day minimum to ensure you get your gifts – and 7 days just to be safe. 3. Always check for coupons online to save money at the checkout. 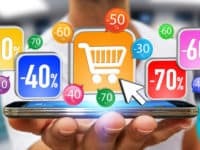 Another tip is to look for comments or reviews on these coupon websites, so you can see if other users have had luck using them, or if the offer is still valid. But there’s no harm in trying to type a code into the coupon box at the checkout! 4. If you have the time, try tracking prices for that one special gift. If you didn’t wait until the last minute and have a few weeks to spare, you can track the prices of items you’re interested in in various websites over time. You can even make this easier on yourself by creating a list to keep track of, such as the eBay Watch List or the Amazon Wish List. 5. When you’re all out of time and money – try doing it yourself! 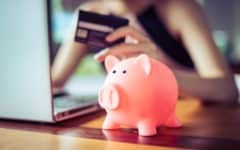 If you’re really on a budget, and still can’t find something cheap enough from any of these websites, you can still go online for some inspiration. Consider checking out Pinterest.com, the website with millions on unique, creative, and original ideas – many of which are DIY gifts (that require little or no money to create). Hopefully this helped you find great deals on that special gift you were looking for. We have free courses and step-by-step tutorials on how to use many of these sites, and if you have any other suggestions for great Valentine’s shopping sites, let us know in the comments!